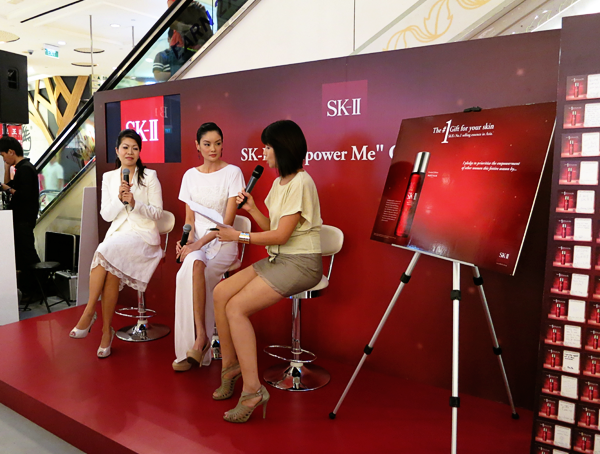 In late December, SK-II unveiled 'its first-ever EMPOWER ME Campaign in Singapore, in collaboration with Singapore Committee for UN Women (UN Women Singapore) and established image styling consultancy, Image Flair'. Empowering women has always been the core of SK-II's heritage and vision and so, this campaign seeks to equip young at-risk women with social knowledge and enhanced image styling skills to better their chances of employment and career advancement. 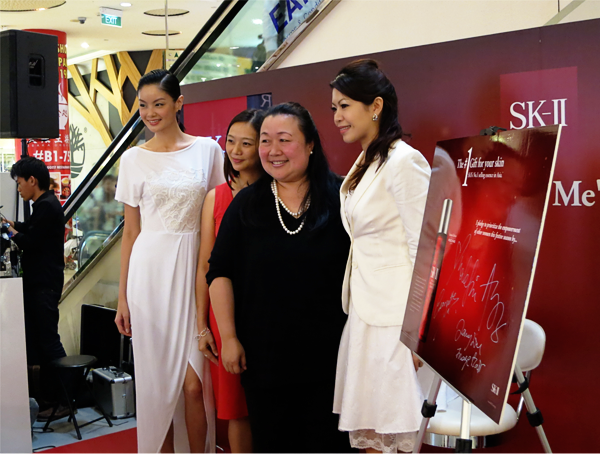 The campaign was launched on December 20th, and SK-II's brand ambassador and renowned international model, Sheila Sim, was there to grace the event. A strong audience of 100 guests, including SK-II's retail and charity partners, elite Crystal Club members and media representatives, turned up! To celebrate the campaign, SK-II collected pledges from members of the public, who made a purchase of S$500 worth of SK-II products, and created the SK-II Empower Pledge Wall! These pledges held heartfelt encouragement and 'built upon SK-II's continued commitment to transform lives through skin and life miracles'. 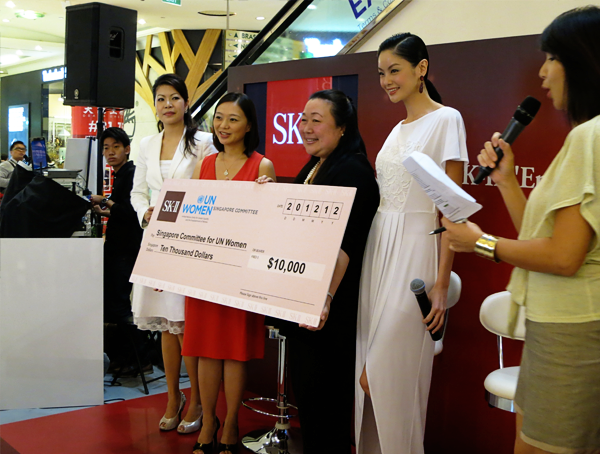 As part of the campaign, SK-II will be donating S$10,000 to UN Women Singapore to fund a series of 'The Empowerment Effect' Workshops this month. As aforementioned, the workshops saw a whole host of image styling experts, power speakers and SK-II's skincare and beauty counselors equipping 'young at-risk women with a holistic beauty and life-transforming skill-set, opening greater opportunities for women to be economically valued'. 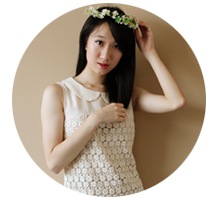 "SK-II has always devoted itself to transform the lives of women through the miracle of Pitera. This year, SK-II has raised the bar for festive giving by extending the gift of empowerment to young at-risk women to equip them with power skills for a brighter future. We have chosen to work with UN Women Singapore and Image Flair for their dedication in advancing women's rights in Singapore through public education and awareness campaigns. This tripartite collaboration signals our commitment to bring the miracle of life transformation to young at-risk women so they in turn can pay it forward."